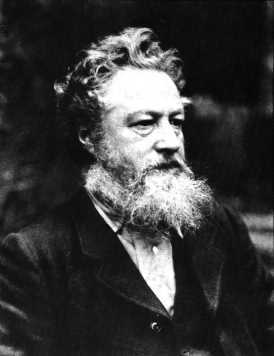 Finally, I have got around to reading News from Nowhere, William Morris’s 1890 vision of a socialist Utopia, and it was well worth the wait; ‘Nowhere’ is remarkably appealing, despite its flaws. It tells the story of a man, William Guest (disillusioned with the nineteenth century, he is possibly modelled on Morris himself), who one day wakes up in the future, in 2102 – a pastoral future, post-revolutionary, which is an ideal Communist state. Guest travels around London, meeting people who tell him of the history of the revolution which caused this way of life to begin. Ideas of capitalism and indeed of money are things of the bad old days, and humans live in harmony with each other and with the earth, not owning property themselves but holding all things in common. Indeed, in these recession-hit times when we all try to be a bit greener, now is the time to read Morris. 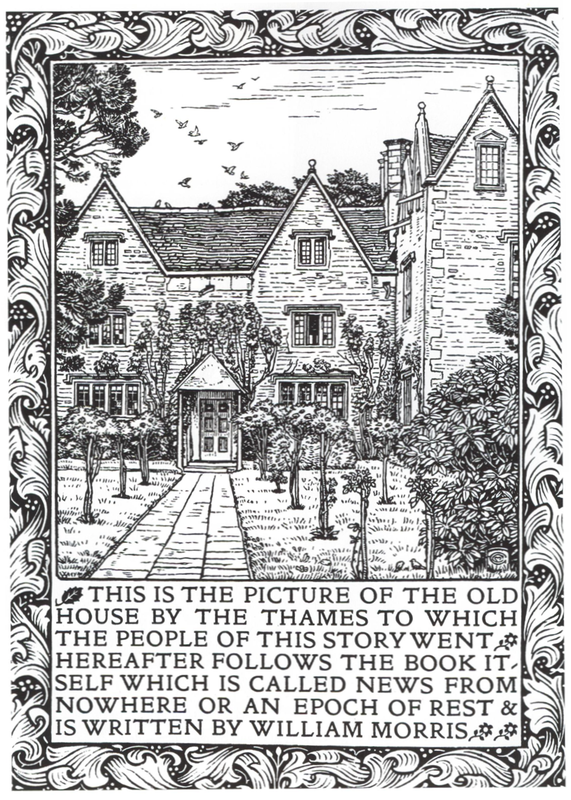 In many ways, New from Nowhere looks back as much as forward; though all hierarchies have been done away with, and beauty and truth are everything, it is nonetheless a remarkably medieval ideal, as the image of the Kelmscott edition (left) shows. Yet this is not a prediction of what will come to pass, merely a dream, or vision; the intro to the Penguin edition, by Clive Wilmer, rightly suggests that Morris’s work “encourages us to dream for ourselves”, which is very true; I have certainly been dreaming up my own Utopia. A striking feature of the book, I found, was that as I read it, I would find myself thinking, “How does this work?”, “How did that happen?” and “This does not take human nature into account”, yet as such queries arise, Morris answers them. The question of human nature is difficult; the general goodness and enthusiasm of the inhabitants of Nowhere does seem unlikely, but Morris explains that our humanity has been corrupted by the corrupted system in which we are trapped: “[W]hat human nature? The human nature of paupers, of slaves, of slave-holders…?” We are so enslaved by the systems created by a politically-motivated and greedy society that we have become unable to make appropriate judgements.